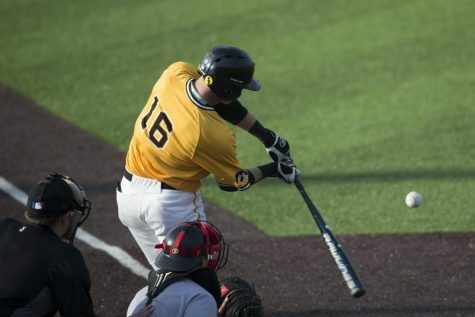 Iowa had two wins in a doubleheader on Feb. 23, but fell in its other games. 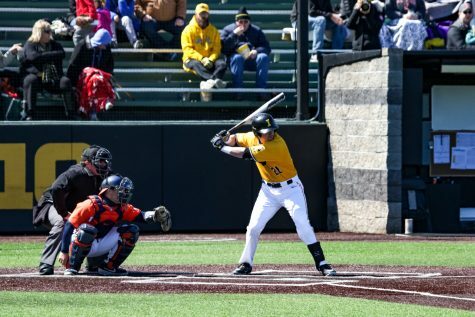 Iowa baseball posted another solid weekend, racking up two wins to tie a series with Hawaii in Honolulu. 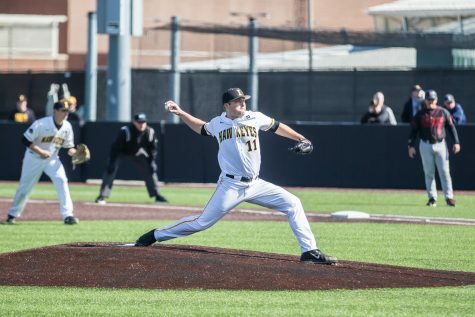 After getting off to a rocky start with a 7-1 loss in which Friday starter Cole McDonald fell to 0-2, the Hawkeyes rattled off two-consecutive wins, in a doubleheader sweep on Feb. 23, 10-8 and 6-4. 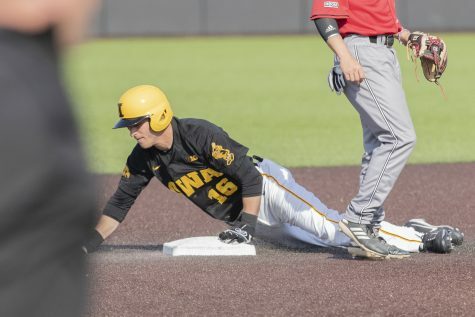 Hawaii jumped out to a 2-0 lead against Iowa starter Jack Dreyer in the second game of the series before Iowa retaliated with 3 runs of its own in the third inning. 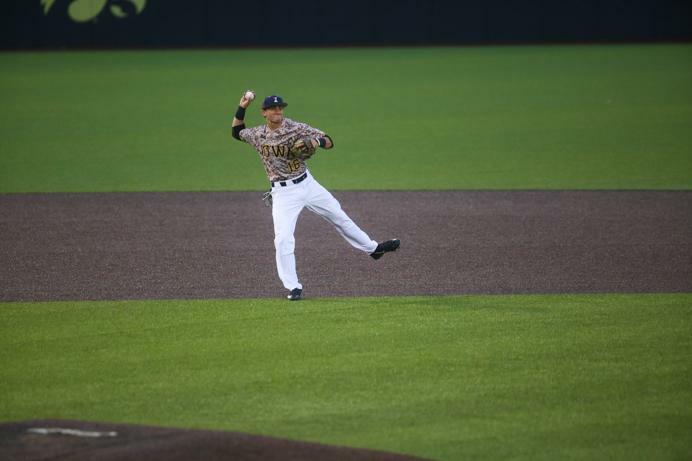 The Rainbow Warriors kept producing at the plate, though, scoring 5 more. 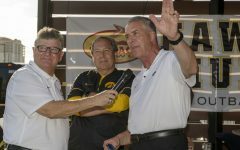 The Hawkeyes then went to reliever Trace Hoffman to stabilize the situation on the mound, and he did just that. 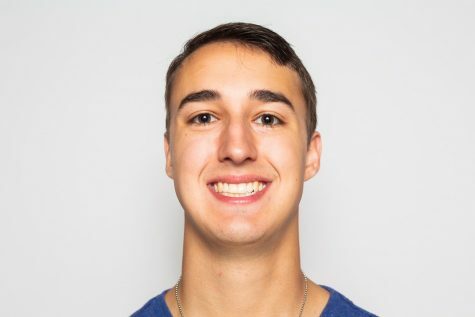 He retired the first 10 Hawaii batters he faced and allowed only 1 hit in 3.2 scoreless innings for his first career win. 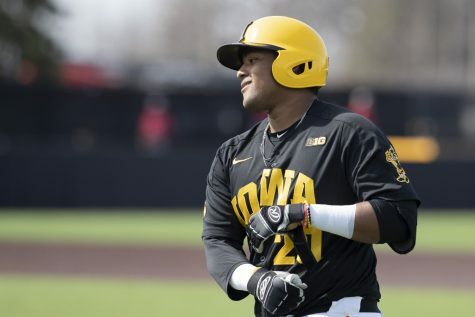 Iowa tied it with 4 runs in the fourth inning and 3 more in the seventh, as the Hawkeye offense finally got going. Five players recorded multi-hit games in the win. 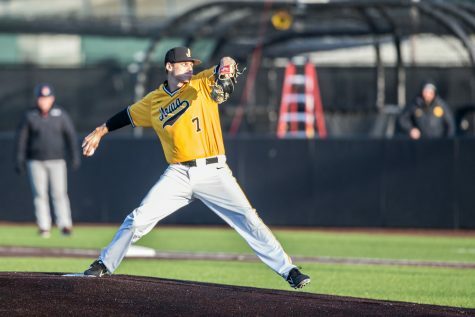 In the day’s second game, the Rainbow Warriors jumped out to an early lead once again, bringing in 2 runs in the second inning. 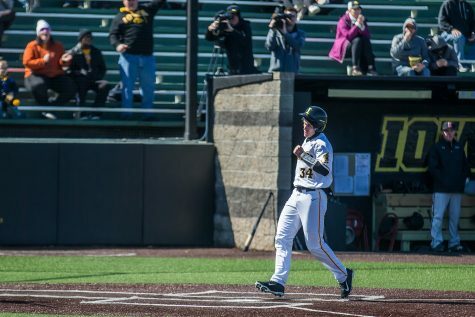 But just as it did earlier, Iowa kept fighting, loading the bases with two outs, and senior Tanner Wetrich took advantage by hitting his first-career grand slam to give the Hawkeyes a 4-2 advantage. 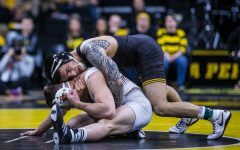 Iowa added 2 more in the eighth, but Hawaii continued to threaten. 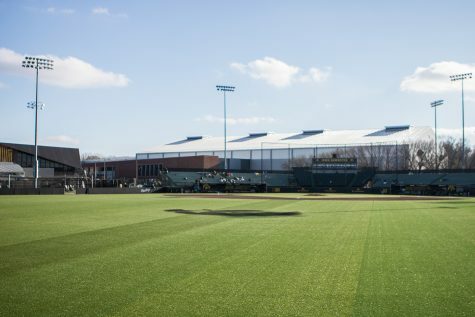 The Rainbow Warriors scored 2 runs on an RBI single and an RBI triple and loaded the bases again with two outs. 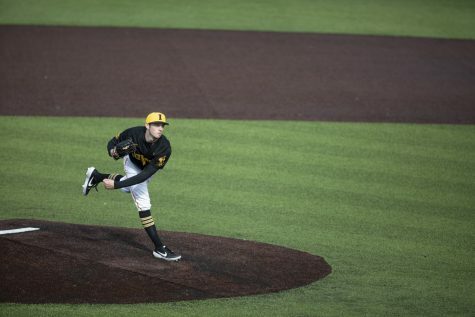 Heller turned to Grant Leonard on the mound, who struck out a batter to get out of the inning in the eighth and retired the three batters in the ninth for the first save of his career. 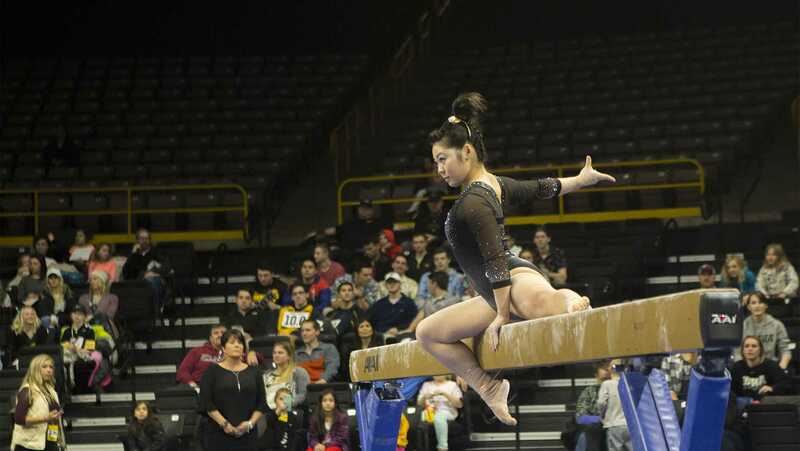 The Hawkeyes then fell in the final game of the series Feb. 24. 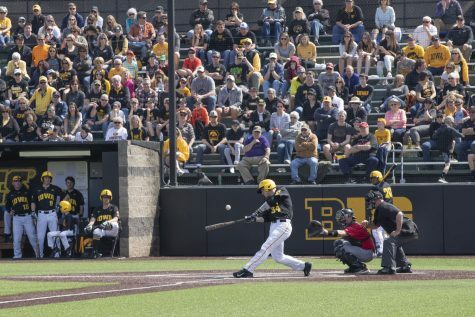 Iowa held a 7-6 lead in the bottom of the ninth, but a wild pitch from reliever Kyle Shimp advanced a runner to third and another wild pitch on ball four brought in the tying run. Alex Baeza came through for the Rainbow Warriors in the 10th, ripping an RBI single to tie the series at two wins apiece.